This was announced as part of Japan’s Nintendo Direct this evening. 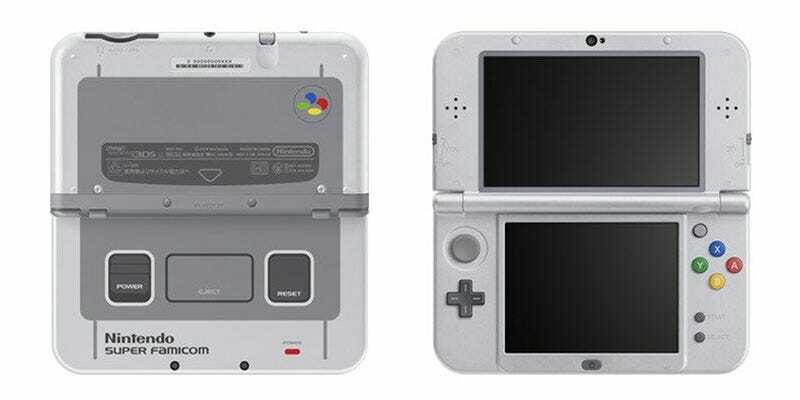 It’s a New 3DS XL that shares the colour scheme/design elements of the timeless Japanese/PAL Super Nintendo. America, because your Super Nintendo was purple and gross and sucked, you’ll likely never get this. But with a slight change of wording on the back, maybe European and Australian fans can hope?